SeaWorld’s waterpark is usually warm and tropical, but on February 11 for one day only Aquatica is chilling down their wave pool for the Polar Plunge in support of Special Olympics Florida. On Saturday, February 11, 2017, more than a thousand Plungers will participate in the annual Polar Plunge for Special Olympics Florida. 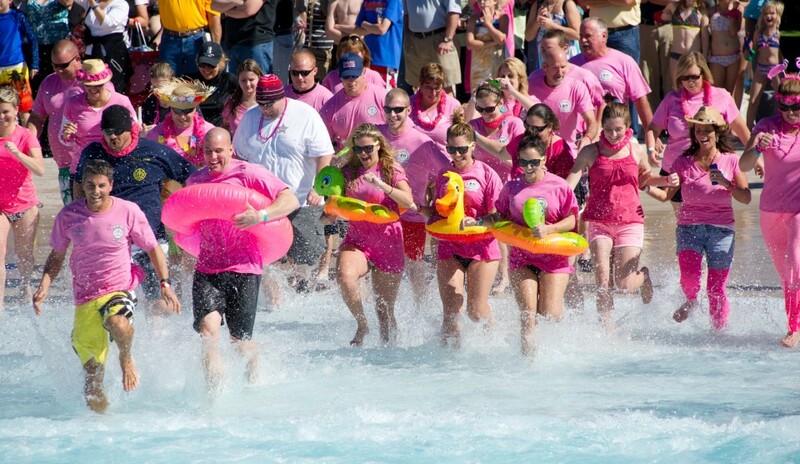 In addition to jumping into cold water for a good cause, a highlight of the annual event is the array of crazy costumes Plungers are encouraged to wear in the name of fun. All proceeds raised by Polar Plungers will support Special Olympics Florida, which provides year-round sports training and competition to children and adults with intellectual disabilities. In its eighth year, the event has raised more than $1.5 million dollars for athletes. Registration opens at 9 a.m. on Saturday, February 11, 2017. and entertainment, music, and warm-up fun will take place from 10 a.m. – 11 a.m. A brief kick-off ceremony will start at 11:00 a.m., and the first wave of Plungers will enter the water at approximately 11:30 a.m. Plungers will enter the water in “waves” until approximately 12:30 p.m. when the event concludes.